If you haven’t been to Brusselsestraat 84 yet, than you should do so soon. The building is a former municipality building and is currently under the management of Maximus Leegstandsbeheer. The different uses throughout the decades might have influenced the interior architecture of the 17th century building, but the house still impresses with its great entrance gate, high ceilings and a grand entrance hall. 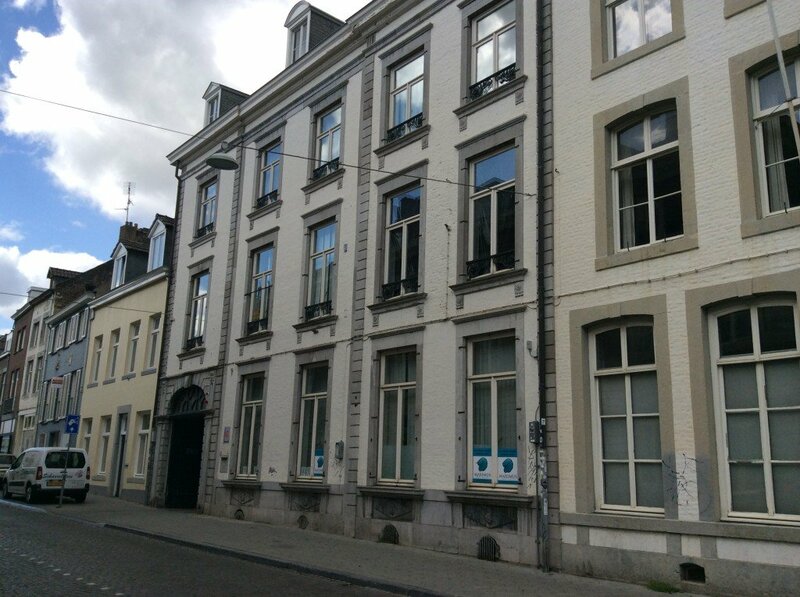 Since January 2014, foundation The Artist and the Others has its office in the building which they are using together with Stichting SoAP, C/O and Taat. The Artist and the Others is the organiser of Common Knowledge. For two editions – #5 and #7 – Common Knowledge made use of the office spaces, which proved to be perfect for organising speed dates and workshops. In the offices you will find changing exhibitions of young artists from the region. Just step by and have a look. Maybe you will even consider buying one!